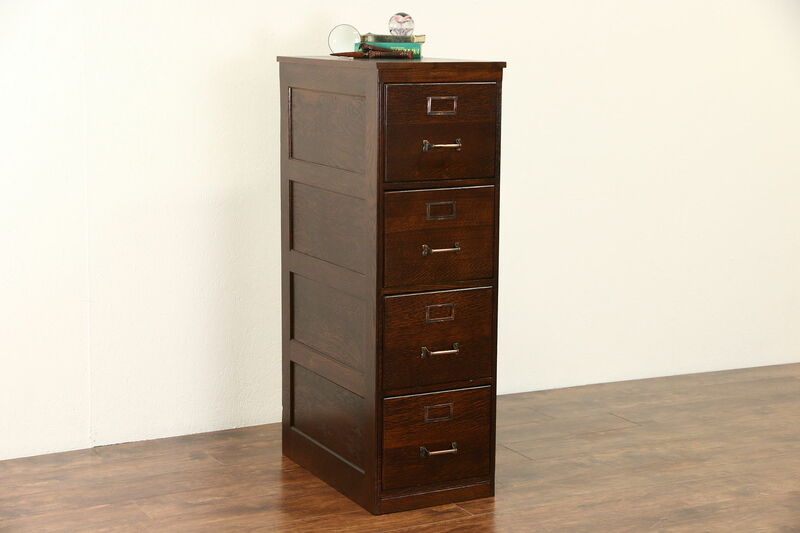 A four drawer filing cabinet from about 1915 has lots of quarter sawn oak grain and a superb deep restored finish, signed "The Wabash Cabinet, Wabash, Ind." Drawers move on wooden slides, there are no pushers inside. Coppery pulls are original, there are label holders and standard 10 x 12 folders fit. Sides are paneled on this American made antique office or library furniture. Measurements are 16 1/2" wide, 28" deep and 51 1/2" tall.